“Most Republican presidential candidates participating in both of Thursday night’s FOX News debates are considered pro-life in their statements and largely by record. However, the stakes are now higher than ever, and real leadership is needed. Candidates need to illustrate a commitment to defunding Planned Parenthood and taking on those who attempt to suppress the truth about the activities — whether it be the media, politicians, or lobbyists. We are looking a crisis in the eye which must be addressed and resolved. “While GOP presidential candidate Gov. Jeb Bush’s comments about the half-billion dollars Planned Parenthood receives from taxpayers has been widely panned as a ‘gaffe,’ it has, in fact, opened the door to shining a light on the activities of the organization. We now know this is precisely what they do not want, as they have recently hired CNN contributor Hilary Rosen of SKDKinckerbocker to suppress the details of their business. I urge all of the GOP presidential candidates to further push open that door to the truth. “Hilary Clinton wished to conflate ‘women’s health’ with abortion. We strongly disagree. 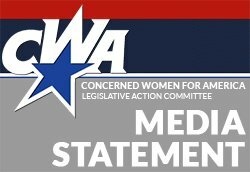 CWA supports S. 1881 by Senator Joni Ernst (R-Iowa) which shifted funds propping up Planned Parenthood to community health centers that treat the whole woman, whether with gynecological needs, heart disease (the number one killer of women), or other medical issues. “The curious ‘defense’ by Planned Parenthood and its paid allies seems to be that, yes, Planned Parenthood does conduct abortions and does sell the remains of aborted babies, but that they don’t turn a profit. The other popular sleight of hand is to focus on the fact that their multi-billion dollar operation, which receives a half-billion dollars from taxpayers, engages in other activities, so, therefore, we should all simply look away and ignore the reality of what we see in the five videos where Planned Parenthood operatives negotiate the sale of aborted body parts as well as fully intact baby cadavers. NOTE: Penny Nance will be in Cleveland, Ohio, on site at the Republican presidential primary debate, Thursday, August 6, at the Quicken Loans Arena and will be available for interviews and to offer commentary and analysis.